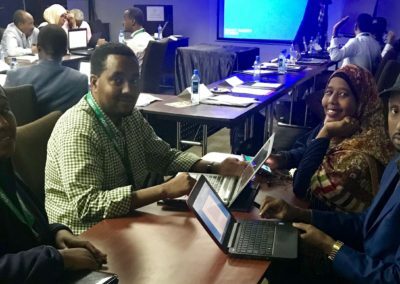 Global Implementation Solutions (GIS) facilitated the second Disease Control Guidelines and Contingency Plan Finalization writing workshop with the Somalia One Health Technical Working Group (SOHTWG). This workshop was held June 25 – 29, 2018 in Nakuru, Kenya. (The first workshop was held in January 2018.) 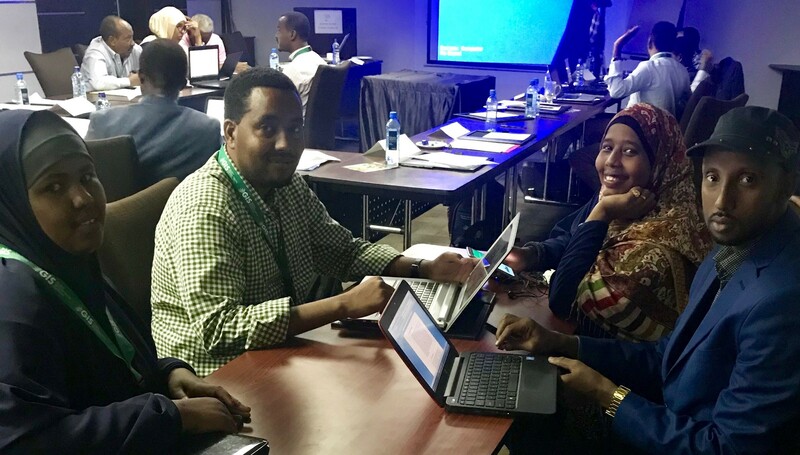 Based on the results of the previous Somalia Zoonotic Disease Prioritization Workshop, and the first Disease Control Guidelines and Contingency Plan Drafting Workshop, the session focused on finalizing the Brucellosis and Rift Valley Fever integrated contingency plans. The weeklong interactive writing workshop provided the SOHTWG the opportunity to integrate public health guidelines into the robust livestock plans. It also provided a platform to continue discussions on how to implement joint outbreak investigation and surveillance as a unit. The group began developing key messages and a communications plan to disseminate externally. The SOHTWG is an amazing group of professionals committed to completing a robust plan. Every week in Mogadishu, the Technical Working Group meets and have formalized their program at the Federal level. The group has continued contact with each other and GIS through email and a WhatsApp group. The SOHTWG will finalize the Brucellosis and Rift Valley Fever Contingency Plans before the end of 2018. The One Health concept is a worldwide strategy for expanding interdisciplinary collaborations and communications in all aspects of health care of humans, animals and the environment. One Health seeks to promote, improve, and defend the health and well-being of all species by enhancing cooperation and collaboration between physicians, veterinarians, other scientific health and environmental professionals and by promoting strengths in leadership and management to achieve these goals. The Somalia One Health Technical Working Group developing their Rift Valley Fever and Brucellosis Contingency Plans in January 2018. This group is incredible. They have made great strides in their program in only two years.